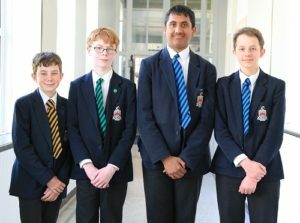 Following a great performance at the Regional Final in Bradford in March, the Year 8/9 team consisting of Theo, Adith, Daniel, and Bram have been invited to compete at the National Final against eighty of the best maths teams from across the country on June 19th 2017 in London. It promises to be a great day out. Very well done!